The Secret Life of the Webcam Guy – Revealed! Lately, we’ve been introducing you to some of the folks who work around here, not only to provide you with a better idea of what we do as a ministry, but also to give you a better idea of who we are personally and the diverse group it takes to keep you safe as you travel the province’s highways. Today we’re talking with Steve Drew, our Senior Electrical Standards Technologist. We also like to call him “the webcam guy”. He does a lot more than that, but when it comes to webcams, he’s the man. Here’s what he had to say about his work with our webcams. What is your role with the ministry’s webcams? My role centers on the installation. Beginning with site selection and ending with supervising the installation where necessary. Site selection can be quite involved as it requires considering input from Regions, Districts, and the general public on things like safety, traffic volumes power availability and the like. I also procure and manage equipment and services, including cameras, communications equipment, solar-power systems, electrical contractors and BC Hydro work. Designing and implementing a telemetry system (that’s a system that produces an automated transmission of data over long distances) to provide remote monitoring and control of solar-powered systems. Integrating temperature data into webcam displays. Exploring the possibility of including additional weather information such as wind speed, relative humidity, etc. 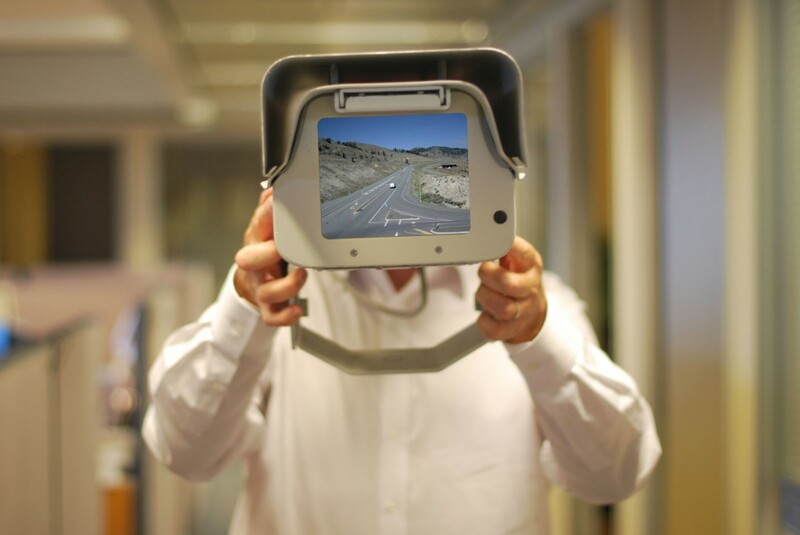 Looking into other ways webcam sites may be used to provide additional functionality such as: Broadcasting road condition through localized low-power radio; Environmental monitoring; Traffic data collection, etc. Investigating possible site locations and conducting site surveys. This often means I’m travelling and consulting with local staff and electrical contractors to see if the site is suitable and what technology would be best to use. Managing and coordinating the installation with the electrical contractor or with other ministry staff. Supervising a solar webcam installation. Obtaining cost estimates and quotes. What are the different technologies the ministry uses for its webcams? Cameras: We use several different models of IP-based cameras, both fixed and Pan-Tilt-Zoom. Communications: Could be cellular, land-line, satellite, and integration into the cellular network by passing a signal from a mountaintop repeater to the cellular network. Illumination: In remote locations where there is no roadway lighting, infra-red illuminators are used to provide light for the camera image. The light is invisible to the human eye so motorists are not surprised by a light suddenly turning on. Custom Telemetry Systems: This was developed in-house to provide telemetry data, alarm, and control to solar powered systems. Almost all webcam maintenance is done by the electrical contractors. These folks are brought in to maintain the many complex electrical systems in place that support our technological growth. Technical support is provided by ministry Electrical Engineering Center staff, myself, and the Radio & Electronics group at selected sites. The most challenging has been getting solar powered sites using satellite communication to perform reliably in high-snowfall areas of the province. Each year improvements are made, and I anticipate excellent reliability when final updates are completed this year. Overcoming these difficulties, along with the success of solar powered sites in operation at remote northern regions of the province, I find the most rewarding. Examples of such sites include the Granisle camera on Highway 118, Bowron River on Highway16, but mostly the camera at the BC-Yukon border on Highway 37. Do you have any questions about our webcams that Steve hasn’t answered? We have a handy FAQ that answers the most common questions, but if you’re still stuck, we welcome you to connect with us. Leave a comment below, or send us a message on Facebook or Twitter and we’ll get back to you as quickly as possible. 6 Responses to The Secret Life of the Webcam Guy – Revealed! 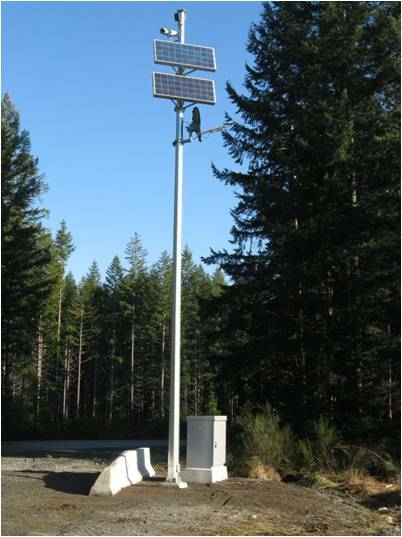 This winter they installed a new webcam at the entrance to the town of Wells, on Highway 26. I was just wondering when it is going to go live? The camera will be launched sometime this spring. We’re working to review and make sure the power and communication connectivity is good to go and we’ll go LIVE soon after. wondering if you ever looked at Herrling Island (along Highway 1 between Hope and Popkum) as a location for a webcam. It’s a high volume location for accidents, and it would help us a lot if we can look at the camera before heading out on a call that way. You can contact me if you have any questions. Thanks for connecting with us here and giving us your feedback. We will share your suggestion forward with Steve and the webcam team. A special thanks for the new Highway Cam at Duffy Lake. We actually travel that portion of Highway99 frequently as we head to the interior to visit our daughter or shop in Kamloops. Our eldest grandson commutes from Kamloops where is going to TRU – so from our family and community many, many thanks. We are always referring to the Duffy Cam before we venture out. We really appreciate hearing how the webcams help people travel safely. Thanks for taking the time, Shirley. Safe and happy travels to you and your family travelling to and from the Interior.